Join or sponsor our Speedo Athletes as they swim around the world to prevent malaria! Register your own swim and add your distances or choose someone to sponsor! "I'm honoured to join Speedo in an effort to organise a swim around the world in support of World Swim Against Malaria and help stop the spread of this deadly disease. I hope that we encourage as many people as possible to join Team Speedo on June 25th to complete the round the world swim for this great cause." 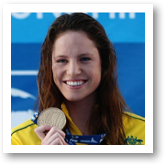 The only woman to have swum under 53 seconds for 100m Freestyle event. "When it comes to our participation in World Swim Against Malaria, it doesn't matter how fast I swim, Emily swims, Michael, Natalie, Katie, Rebecca, Filippo swim... each of us count as 1 person swimming. If YOU swim, that's one more towards the target of one million swimming. This is a great cause. Great if you will swim too." "Malaria remains one of the world's most deadly diseases, and that's why it's important to do all we can to help prevent it. 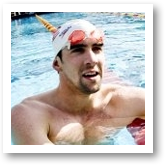 Getting into the pool on June 25th is a really simple way to save lives, so I hope that as many people as possible get involved with World Swim Against Malaria, claim their Speedo swimwear, and raise as much money as possible for this worthy cause." 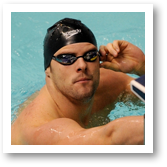 Eamon won a Silver and Bronze at the 2008 Beijing Olympic Games and is still the World Record Holder of the 50m 100m Freestlye events. 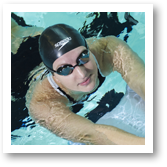 "I am keeping track of my swimming km's for world swim against malaria... Will be updating my training km's everyday "
"Getting into the pool on June 25th is a really simple way to save lives, so I hope that as many people as possible get involved with World Swim Against Malaria. I hope that I and the rest of 'Team Speedo' can make a huge contribution to ensure this is the most successful World Swim Against Malaria ever." 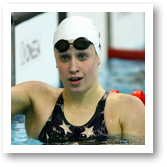 The first woman in history to break the 1 minute barrier in the 100m Backstroke. "Lets swim and save lives!" "The Against Malaria Foundation prevents thousands of deaths each year, and taking part in the World Swim Against Malaria allows this great work to continue. It's a brilliant event to be part of, and I hope that I and the rest of 'Team Speedo' can make a huge contribution to ensure this is the most successful World Swim Against Malaria ever." 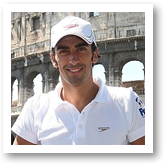 The first Italian to win World Championship gold, in the 100m Freestyle. "Ciao - join me and Speedo saving lives!" 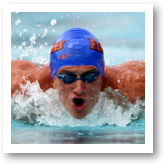 He broke 3 world records at the 2008 FINA World Swimming Championships. "I hope that you will support the cause! $5 for one net! JEAH!!"